One of the great things about Ohio State is all the opportunities it offers to study abroad. In fact, I was able to study abroad my first semester at Ohio State, through the London Honors program. After learning about British culture and history all semester, I didn’t mind cutting my winter break short, returning to Columbus to meet my classmates for our flight to London three days before New Year’s Eve. Celebrating New Years in London and watching fireworks with friends was well worth the sleep deprivation wrought by the eight-hour flight from New York to London followed by a bus tour and a tour of St. Paul’s Cathedral the first day. The itinerary the next 9 days was a mix of scheduled activities, like going to the British Museum or having afternoon tea at Montague on the Gardens, and free time to explore on our own so we could learn to use the public transit. Other activities included seeing plays, touring the Globe Theater, a day at Oxford, and seeing the crown jewels at the Tower of London. Looking back on my experience, it’s funny to think I was hesitant to sign up for this program even though it sounded great. I didn’t know anybody and was afraid I’d end up alone in a strange city. However, it turned out I had nothing to worry about, and in fact going on this trip allowed me to make some really good friends. This trip allowed me to both experience another culture and broaden my own experience of Ohio State through my new friendships. I think one of the great things about traveling abroad is that being in a new environment far from home can push you to be open to new friendships, new foods, and new ideas. And in that way travelling gives you the confidence that you can find things in common with people wherever you are. In mid-December, I woke up at 3:00am and started making the 30-hour journey to Ushuaia, Argentina. 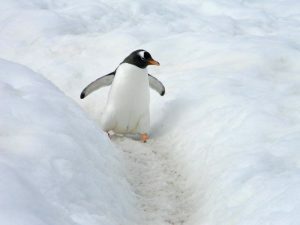 After a few days there, I would start a 48-hour journey to Antarctica by ship. It seems crazy just how many days of travel are required to step foot on the world’s southernmost continent, but after experiencing the beauty of Antarctica, it only seems fitting that long plane rides and chancing sea sickness in the Drake Passage are the prices tourists pay to step foot on the highest, driest, windiest, and in my opinion, most awe-inspiring place. 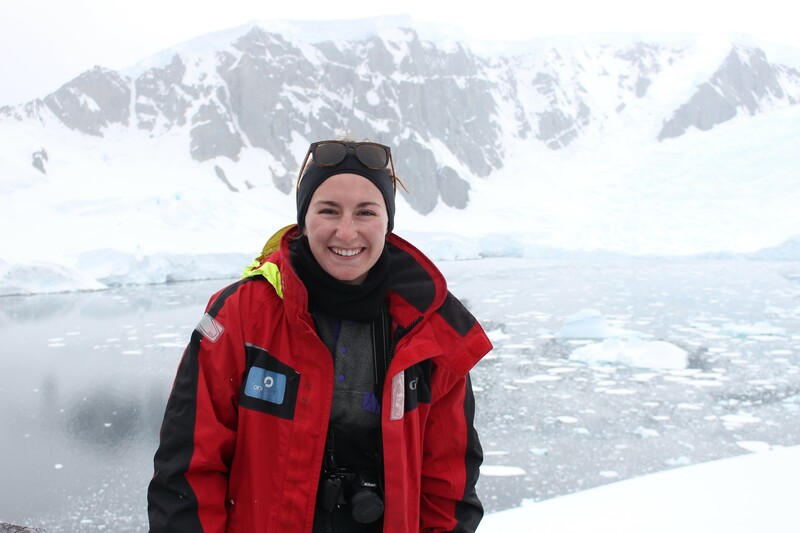 At Ohio State, there are lots of study abroad opportunities presented to students and this program which focused on the human impact on Antarctica’s fragile environment was extremely interesting to me, mostly because I thought it would be cool to travel to Antarctica. To be honest, I had always known that it was important that we take care of our environment, especially having grown up on a corn and soybean farm where taking care of the land is essential for profitability, but I never had any emotion tied to environmental stewardship outside of where I could see the benefits. Yes, I recycled, tried to use plastic sparingly and not leave the lights on unnecessarily. I participated in countless trash pickups as a 4-H and FFA member, but I always found myself wondering things like, “What difference does my decision to use a reusable K-Cup rather than a disposable one actually make when I’m just trying to get some caffeine, and is it really that big of a deal if I forget a reusable grocery bag?” All of my questions were answered after my Antarctic experience. Once we arrived in Antarctica, I began to understand what happens when places are largely untouched by humans. It had always been hard for me to fathom how something as small as a footprint can alter a penguin’s everyday routine, but as I watched penguins trek through snow deeper than them, making their own network of penguin highways, I began to understand how one human footprint in a penguin highway can ruin weeks of penguin sweat equity. In short, we as humans have the power to preserve our world’s beauty. After five days on Antarctica, it was time for the second leg of a two-day ship journey back to South America, meaning that nearly all of the passengers would stick on another behind-the-ear seasickness patch and that presentations by the OneOcean staff would resume. 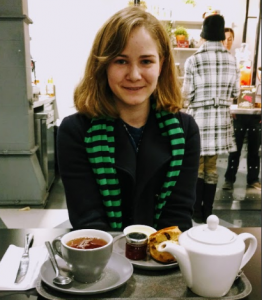 As I watched Catherine, a wildlife aficionado, present about climate change in a way I had never before had it explained, I began to understand the impact that my actions have on our environment. Our world is warming, but some parts of it are actually cooling, hints the name climate change. The part that’s really important is that as humans we have changed the composition of our atmosphere. If you’re looking for a less than two minute explanation, checkout this video: https://www.youtube.com/watch?v=-n4A0BssFd0. As I made the journey to Ohio, I left with an understanding of how my environmental footprint, even though I’m one in more than seven billion, can have an impact. 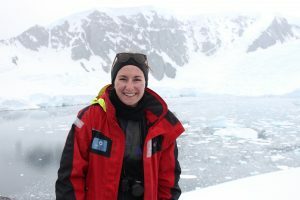 My mindless decision to recycle is now one that’s fueled by a desire to help the adorable penguins, seals and whales that made my study abroad experience in Antarctica remarkable. Most importantly, I now know that climate change isn’t all gloom and doom. It’s undeniable that our atmospheric composition is changing, but it’s also undeniable that the tiny steps we take towards conservation can change the world. One of the decisions out-of-state students have to make is whether or not going home for Thanksgiving is feasible. I was one of the students unable to go home, and was not looking forward to missing my favorite holiday of delicious food with my family in favor of responsibly staying at school and studying chemistry. Fortunately, however, both CFAES and OSU had my back. I got not one, but two Thanksgivings. My first Thanksgiving was a lunch sponsored by the Ohio State Food Science Club was the third floor of the Parker Food Science Building. Not only was the main course of traditional Thanksgiving food delicious, but the dessert competition provided a wide array of confections each trying to be tastier than the last. And, in the name of being a fair judge, you have an excuse to sample many. The only cost was an offering to the canned goods collection. My second Thanksgiving was put on by the university’s Office of Diversity and Inclusion and the Office of International Affairs the Ohio Union. Surrounded by families and fellow students the day of Thanksgiving, I enjoyed turkey, cranberries, corn bread, stuffing, sweet potatoes, and of course pie. A few fun facts were provided on a tent card in the middle of the table. About 1,600 guests were expected, which meant that 120 turkeys were roasted for the occasion. Along with all that turkey, volunteers served 1026 pounds of sweet potatoes (which were amazing), 1296 pounds of vegetables, 306 pounds of cranberry sauce, and 416 pounds of pie. What’s amazing is all those people got all this food for free. All that is asked is that diners fill out a short survey online after the meal. My two Thanksgivings reflect my experience being an Ohio State student and member of the College of Food Agriculture and Environmental Sciences. 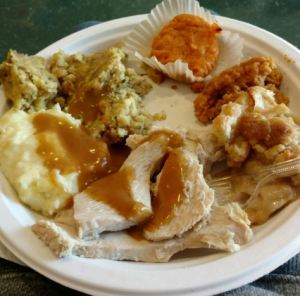 The annual Thanksgiving Lunch sponsored by the Food Science Club was a smaller event that was attended mostly by people in the College. The lunch felt more homey since I knew some of the people there. The second Thanksgiving, sponsored by the ODI and OIA was huge and diverse, like our university, but both Thanksgivings reflected the spirit of togetherness and generosity that makes THE Ohio State a home away from home. If you would have told me as a freshman food science and technology major that five years later I would be entering the first semester of my Master’s degree in food science, I definitely would not have believed you. When I entered The Ohio State University in the fall of 2012, I simply saw food science as a fun undergraduate degree to pursue that also satisfied the perquisite requirements for medical or dental school, which were my ultimate goals at the time. However, after seeing all of opportunities that were afforded to me from being a part of CFAES and the food science program, I fell in love with the field and ultimately chose it for my career path, and I am so glad that I did. Throughout my undergraduate food science career, I have studied abroad in Brazil with Alpha Zeta partners, had two incredible internships at Synergy Flavors and Nestle Nutrition, served as co-president of the food science club, and met some amazing students and faculty who have taught me so much as well as pushed me to grow as both a student and person. Now, as a Master’s student in the food science department, I have continued to be blessed with even more amazing opportunities such as receiving the STEM scholarship sponsored by Monsanto. I am so excited to receive this award because it will allow me to begin my new food science journey in the field of research without financial burden. By pursuing a Master’s degree in food science I move one step closer to realizing my dream of creating delicious and healthy foods for people around the world, and I could not have done any of it without OSU, CFAES, and the Food Science department! I remember thinking, “So, I’m going to work in a beef plant. Who actually wants to work in a cold, boring production line?” Well as it turns out, I am one of those people that is more than excited to wake up at 3:45AM to wear steel toed boots, a hard hat and a hairnet to work every day. This past summer, I completed my first internship with Cargill Beef in Fresno, California, where we processed about 1400 head of cattle per day. As the operations fabrication intern, I was very fortunate to learn about plant processes through two projects during my twelve weeks out west. For my first project, I graded carcasses and collected data for a newly implemented boxed beef program. I spent most of my time working with the production floor supervisors to develop a tool that helped them identify issues on the floor and assisted in creating a plan of action to resolve those issues. Through this project, we were able to improve product yields for Flapmeat and Ribeyes, as well as develop some remarkable friendships. I had a great experience and it is mainly because of the people I got to work with and learn from. At the end of my internship, I was able to compete with the other Operations Interns from each Cargill Protein Facility. After a lot of hard and backing from my coworkers, I was able to bring first place back to Fresno. While I was preparing for my internship, I felt very excited and nervous to have so many new experiences in California. However, I didn’t realize how much this summer would change my life. Living 2400 miles away from anyone and anything I ever knew helped me gain independence, strength and confidence in myself. Looking back on this summer, I am so unbelievably grateful for the opportunities I had to travel, overcome struggles, and, most importantly, work with some truly amazing people. Internships are opportunities to try your career on for size and because of my experience, I am fully certain that the meat industry is right where I need to be. The National FFA Association’s motto reads, “Learning to do, Doing to Learn, Earning to Live, Living to Serve”; this statement means a lot of things to a lot of people (over six hundred twenty-nine thousand current members). Although I’m now an alumnus, I find myself thinking about this motto from time to time. As an FFA Member, these words reminded me that “Doing to Learn” would be the key to my success, now that I am in my third year at The Ohio State University, these words still hold their merit. 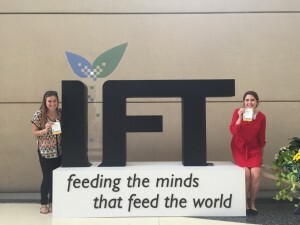 Preparing to teach agricultural science in the classroom is what I have been working on for the last three years, however, agriscience educators work with students nearly as much out of the classroom as they do in. It’s difficult to understand what it’s like to be an agriculture educator unless you’ve done a little walking in their shoes (boots). 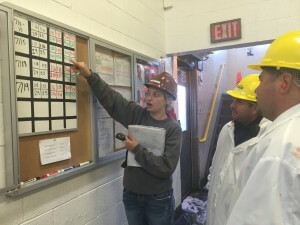 During my time studding Agriscience Education, I have done half-a-dozen career shadowing projects, as well as a two week Early Field Experience, during all of which I was in the classroom. It’s not until an education student’s senior year that they can complete student teaching and be in the classroom for an extended period. For me it’s hard investing all of my time and money studying to have a career in a field that I’ve only experienced half of. Outside of the classroom, Agriscience Educators spend hours taking students to contests, conferences, conventions and camp; sometimes across the country. This summer, I was fortunate enough to gain some inside experience working with students outside of the classroom. Ohio FFA Camp Muskingum is located on Leesville Lake in Carrol County Ohio. 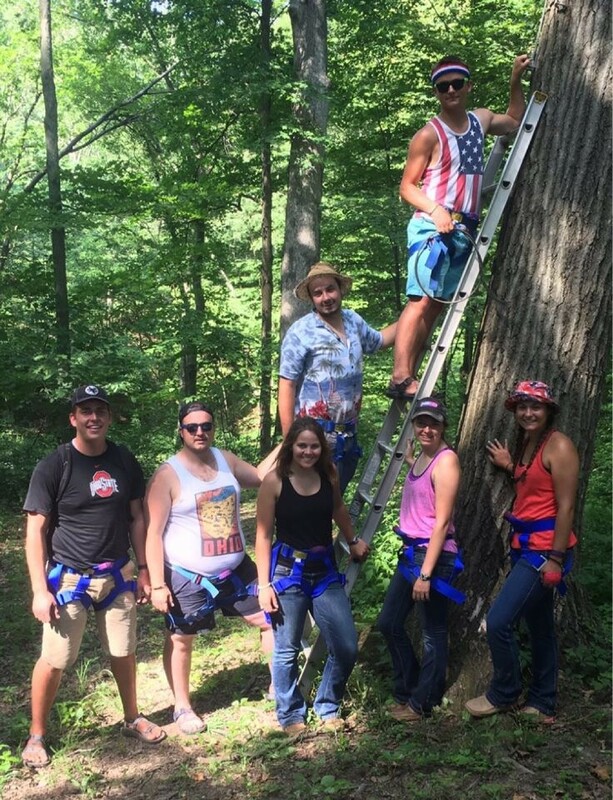 Every summer, FFA members from across Ohio come to camp to make new friends, gain leadership abilities, and most importantly, to have fun. Ohio FFA Camp employs around seven college students every summer to help staff all of the sessions of camp. As one of the seven that was selected this year by camp director Todd Davis (an alumnus of the Ohio State College of Food, Agriculture, and Environmental Science), and his full time staff, I moved into camp on May 31, and by July 18 I didn’t want to leave. Ohio FFA Camp Muskingum Summer Staff is responsible for coordinating activities, writing programs, life guarding, high ropes etc.. Although all five regular sessions of camp had the same schedule, every week was different. Around midday every Sunday a new set of students and their advisors would show up at camp registration, each week different from the last. I worked with upwards of twelve hundred students this summer and made countless connections with their advisors. Knowing that I would be in the advisors’ position in just a few short years, I took every opportunity to gain knowledge from their experiences, not to mention the career networking opportunities. Because of my position on camp staff I was able to work side-by-side with the professionals that will one day be my peers, as well as my fellow staff members, who I now call friends. The Ohio FFA Camp summer staff position was originally created as an internship designed for future agriscience educators (although our staff is now fairly diverse). The time I spent this summer on Leesville Lake has taught me that even with training from one of the best institutions in the Nation, nothing can prepare you more for a career than getting out there and “Doing to Learn”. Goals as a Freshman: Make it to class on time, conquer the bus system, attend football games as a student, find others with the same passions, and learn Carmen Ohio. Although I had these goals in my mind I was still nervous about the size and number of student on the campus. On August 20 with these goals in mind, I moved on campus, nervous just as your typical freshman would be. 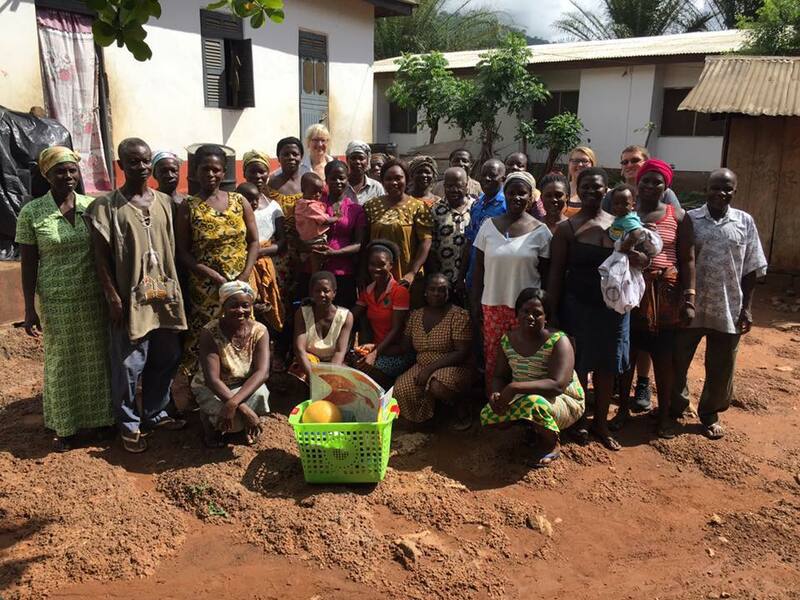 Looking back there was nothing to be nervous about, as a student in the College of Food, Agricultural, and Environmental Sciences there are so many people willing to help you ensure you have everything to be successful. As week two rolled around I had successfully ridden the campus bus, figured out the best places to eat on campus, and had made it through my first week of classes, now I was encouraged to join different clubs and student organizations on campus! Whether you would like to join a club focusing on your major or a hobby that you love, there is a club for everyone! This way I met so many others with the same interests and passions as mine. The clubs offer opportunities for students to travel, learn leadership skills, and volunteer for community service. The College of Food, Agricultural and Environmental Sciences ensures that every student feels welcome and that all students are successful. Students have the opportunity to meet with faculty and staff, and professors care about their students. The professors, faculty, and staff try their best to learn students on a name to name basis and encourage students to visit their offices often! I couldn’t imagine a better place to spend my first year as a college student. I have already met so many awesome people. The opportunities for students are endless from the various classes, clubs, and unique experiences students will feel at home. The College of Food, Agriculture, and Environmental Sciences encourages students to find their passions and meet so many awesome new individuals. I have officially conquered 20 days as a college student, attended a football game, rode the bus, and made it to all my classes. As I continue to learn traditions, and meet new people I know I made the right decision last fall when I applied to The Ohio State University and the College of Food, Agricultural, and Environmental Sciences. 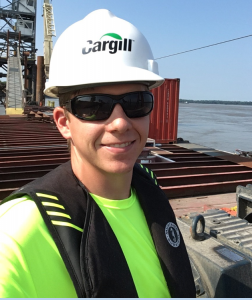 This summer I had the opportunity to do an Internship in Hales Point, Tennessee working for Cargill Inc. As an operations intern I spent a lot of time in the plant getting hands-on experience with many tasks. Hales Point is a facility located along the Mississippi river, so we loaded barges throughout the summer. I had many projects over the summer. One project was updating the maintenance records and specs of the equipment in the plant. Another was focused on updating safe operating procedure manuals so new employees can learn their job much faster. My biggest project was analyzing the barge loading process at our facility and finding ways to load barges safer and more efficiently. Through this project I got to meet many people, project managers, operations leaders, and maintenance and reliability leaders. Throughout the summer I got to travel to several different places. I was able to tour Cargill headquarters in Minneapolis, MN and met many more interns there during the Intern Forum. I toured Reserve and Westwego, Cargill’s two export facilities in Louisiana. In addition, I got to take part in train loading at the Tuscola, IL facility. I even worked a day in a barge loading facility on the Tennessee River. What I am the most thankful for was the great people I worked with. My first day they made me feel at home and by the end of the summer I felt like I was a part of their family. They liked to laugh at how I called a shopping cart a shopping cart, not a “buggy” and showed me how to make some very sweet sweet tea. I had a great summer in the “river bottoms” and can’t wait for what’s next! What comes to mind when you think of going on a weekend retreat? If you imagine taking a break from your busy schedule, getting out of town, and enjoying good food and great company, then we have something in common! The Ambassador Team from the College of Food, Agricultural and Environmental Sciences spent our first weekend back at The Ohio State University doing just that. Hey there, my name is Mindi Brookhart and I am a third year student at OSU. As an Agricultural Communication major, I was welcomed onto the CFAES Ambassador team in the spring of 2016 and recently earned the privilege of experiencing my first Ambassador Retreat. After the first week of classes, 31 students from CFAES gathered in the Agricultural Administration building and began a training seminar. It was equipped to better educate our group and make us aware of unique situations we could encounter such as leading tours on campus to prospective students or working at recruiting events. Once that concluded, we headed to Woodhaven Farms in Johnstown and spent our evening escaping the city. We worked in groups to prepare supper and spend genuine time getting to know fellow team members and relaxing by the pond. Saturday morning, we dove right into our busy day and engaged in an Open Doors training. Its purpose was to educate and make us think about diversity and how we approach it each day. This event was led by Pamela Thomas. Our afternoon was spent expanding our knowledge about our college by working with Amy Jo Baughman and Jill Arnett, our advisors. On Sunday morning, we concluded our retreat with strong peer discussion while eating brunch. The final stop of the weekend was at Price Farms Organics. I take pride in representing the college as well as The Ohio State University by serving as a CFAES Ambassador. Though it is a competitive process to join the team, it is a very rewarding experience. We polish our professional skills and have the opportunity to represent our student body when meeting large contributors to our school as well as industry professionals. 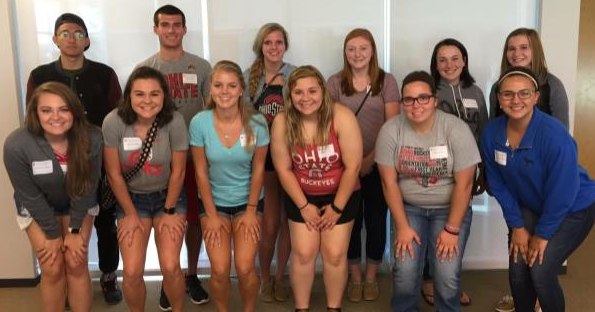 If you love being a Buckeye and staying involved with the College of Food, Agricultural, and Environmental Sciences, the ambassador team may be a great fit for you!